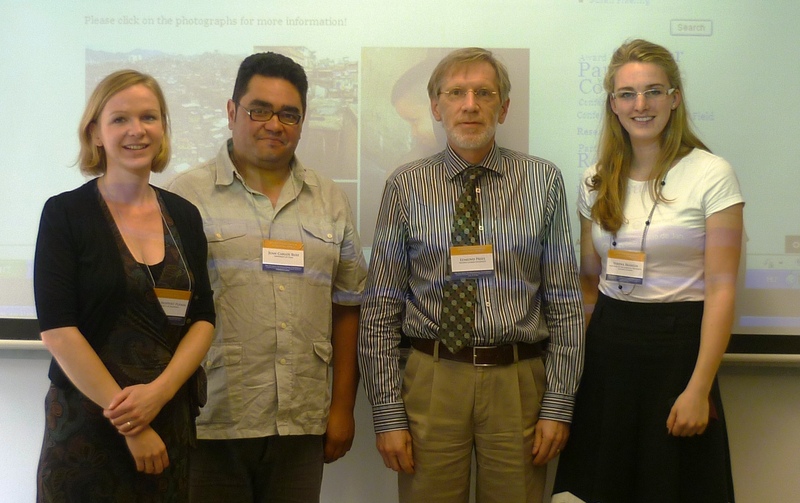 The network members Susan Hoppert-Flaemig, Verena Brähler, Juan Carlos Ruiz, and Alejandra Otamendi presented a panel at the ISA-PSS Joint Conference on “Security Challenges in an Evolving World” in Budapest on 27 June 2013. One of our motives of establishing researchingsecurity.org was the wish to create a network to share our experiences, questions, doubts, and successes as young scholars in our field. Methodological and ethical issues are certainly an important part of our research and, from our point of view, require constant debates. Alejandra Otamendi: Use of Secondary Quantitative Data to Study Crime and Crime Perceptions in the Case of Public Punitiveness in Buenos Aires. The presentations were followed by a lively debate about obstacles and risks in researching in a vulnerable and violent environment and about the usefulness of ethical standards; and we very much appreciated the input of our discussant Edmund Pries from Wilfried Laurier University (Canada). Having attended a number of presentations of other panels at the conference, we got the impression that a lot of security research is still being undertaken by those disciplines that traditionally dominate security research, namely political science and international relations. Within these disciplines, many projects were working with quantitative data. Contributions from other disciplines such as anthropology and sociology as well as projects working with qualitative data were less represented. Reflecting on the implications of this, we agreed that our network is open to a diverse range of methodologies and disciplines studying security. However, we also came to the conclusion that our particular strengths are expertise in grassroots and hands-on approaches, as well as heightened awareness for the implications of our research for the communities and societies we are working with.